Never has a work of Shakespeare courted such controversy amongst critics than The Life of King Henry V. ‘By far the most controversial of the histories’, writes Berry, 'Henry V remains at the centre of a long-standing critical debate’. (Berry, 1986, pg. 255). What is perhaps astounding is the wide disparity of responses that this debate has procured, resulting in a play that has remained of absorbing curiosity since its dissemination in 1599. Other Shakespearean protagonists have provoked complex responses but none with such diverging interpretations as Henry V.
Arguably the most popular of all the English histories, the play dramatizes the events leading to Agincourt where the incomparable Henry, believing he has a divine right to the kingship of France, leads his men to an unlikely but enthralling victory against the haughty French. The play has become a source of rancorous debate over the years; the controversy predicated on two conflicting views or interpretations of the play’s central character. Commenting on the ideological ambivalence of the play, James. N. Loehlin surmises that ‘Henry V can be either the story of an ideal king leading a unified nation to a glorious victory, or the story of a crafty and unscrupulous politician embarking on a cynical war of aggression in spite of its human costs’. (Loehlin, 1996, pg. 9). Or, as the influential Norman Rabkin postulates, ‘Shakespeare created a work whose ultimate power is precisely the fact that it points in two opposite directions. (Rabkin, 1981, pg. 33). Henry V is an unusual play in the sense that it is centred on one major personality. Therefore, the play often has to rely on the dramatic effect of its minor and ephemeral characters. These characters are extraordinarily compelling and their importance cannot be exaggerated; they provide critical perspective of the King, and his interactions with them are designed to undercut and comprise the heroic perception of his character. (Erickson, 1979, pg. 14). Thus, the aim of this paper is to demonstrate and critically analyse the salient role minor characters play in deflating the heroic myth of Shakespeare’s Henry V; a myth that has endured the test of time and has acquired relative orthodoxy for more than three centuries. The first of the suggested locations can be found in the first act of the play, specifically, the role of the Archbishop of Canterbury. In order to portray Henry V as a hero-saint and exemplar of Christian piety, it is imperative that the justification of war be void of nefarious motivations. The opening scene is of supreme importance as we begin to witness the unravelling of a darker interpretation of ‘this star of England’. We are introduced to the scheming between the Archbishop of Canterbury and the Bishop of Ely, their thoughts preoccupied with a parliamentary bill that aims to seize all Church lands. An unacceptable reality, their solution is to essentially bribe the King. In return for the protection of the Church against seized revenue, the Clergy will provide an apparently pious, pseudo-legal rationale for the invasion of France. (Mebane, 2007, pg. 256). The justification of war from the outset is marinated with baleful motivations of a political ploy by scheming churchmen. Underlining the significance of the first scene, Gerald Gould contends that ‘unless its intention is the obviously cynical one, there is no intention at all.’ (Gould, 1969, pg. 87). Gould’s point is further reinforced in act one, scene two where the legal basis for Henry’s claim to the French throne is explicated. The Archbishop’s argument is based on the repudiation of the Salic law currently operating in France; a law which excludes females from dynastic succession, (‘No woman shall succeed in Salic land’ – HV, I.II, 39). Henry, imploring the Archbishop to ‘justly and religiously unfold’ his right to the throne, requires a clear explanation of his claim, however, clarity and brevity is a luxury when Canterbury begins his exposition. Comprising of over sixty lines, the speech is presented on the modern stage as something of an embarrassment, technical, ineloquent and described by Arthur Humphreys as ‘unrivalled for tediousness’. (Dutton, 2005, pg. 185). Canterbury’s explanation is reduced to comedy in which he constantly forgets things, becomes confused over genealogies and finally ends with the grossly ludicrous assertion that Henry’s claim is ‘as clear as a summer’s sun’. It is as if the Archbishop of Canterbury has given himself permission to behave absurdly and illogically, proving it difficult to take his long, rather unlettered explanation with a modicum of seriousness rendering the entire scene sardonic if not ridiculous. However, some critics have rejected the comedic and tedious delineations of the speech, arguing that the scene would have been taken very seriously by an Elizabethan audience. Gary Taylor maintains that the Elizabethan audience ‘would have been interested in the Salic law and accustomed to listening to long and intellectually complex sermons (as we are not)’ (Taylor, 2008, pg. 35). However, John Sutherland in his provocative essay, Henry V, war criminal?, is not convinced. Even if audience members were accustomed to long sermons, ‘it is certain that was not what they paid for when they went to the theatre’. (Sutherland, 2000, pg. 119). Sutherland thus concludes that the speech is intended to be regarded not just as tedious but comically tedious. (Ibid, 2000, pg. 119). Despite the comedic effect, the speech raises pertinent reservations regarding Henry V’s legitimacy, not only to the French throne but also to the English throne. Rejecting the veracity of the Salic law allows Henry to claim the throne based on the fact that his great-great-grandmother was the daughter of Philip IV of France. (Leer, 1962, pg. 102) Shockingly, the Archbishop seems to abandon his own argument and accuses the French kings of antiquity as crooked because their own titles descend from the female. In short, the title of the King of France is illegitimate because it devolved through the female line, therefore the legitimate heir is Henry – by descent through a female line! (Beauchamp, 1978, pg. 230). The absurdity knows no bounds as ‘the very thing’, says Goddard, ‘that proves the title of a French king crooked – namely, inheritance through the female – serves by some twist of ecclesiastical logic, to prove the title of an English king good’. (Goddard, 1951, pg. 221). “Henry employs against the French a principle that, if it were enforced against him, would strip him of both English and French kingdoms. Yet the point is made so obliquely that only a spectator cognizant of the tangled Plantagenet genealogy is likely to catch it.” (Landa, pg. 191). Some critics, nonetheless, accentuate the legal and moral justification of Henry’s crusade against the French. J.H. Walter deems Canterbury’s reasoning as ‘impeccable’, arguing that if Shakespeare had believed Henry’s claim to be justified, he would have only been in agreement with ‘the greatest jurist of the sixteenth century’, Alberico Gentili. (Walter, 1954, pg. xxiii.) However, the veracity of Gentili’s supposition is indeed questionable, considering the fact that he was writing as a refugee in England and may not have been the most reliable of witnesses. M.M. Reese, a great partisan of Henry, concedes that a modern audience may have difficulties comprehending the justice of the war, but, ‘however it may appear to us today, the French war was a righteous war which a virtuous king was bound in honour to undertake.’ (Spiekerman, 2001, pg. 132). On a similar note, John Dover Wilson fails to acknowledge the sly, cunning conversation between the two clergymen, completely dismissing the connection between the fear of confiscated lands and the Archbishop’s support of war. There is ‘not a hint of a bribe on the Archbishop’s part, still less of his provoking the King to war in order to protect Church property’. (Wilson, 1947, pg. xxi-xxii). Hobday vehemently opposes this interpretation, asserting that such a reading ignores Shakespeare’s text. Notwithstanding the obvious flaws in Canterbury’s legal reasoning, the speech is nevertheless received with little contention and is accepted by Henry because it will suffice to serve his purpose. It is doubtful whether Henry truly requires papal coaching regarding the historical justification of his claim; however, what he does indeed require is the public blessing of the Church. (Wentersdorf, 1976, pg. 267). In this fashion, Henry now has God in his favour and any subsequent death caused by war now lie firmly on the shoulders of the Archbishop of Canterbury. The astuteness of Henry is something to behold, and is indicative of a highly intelligent individual who has the ability to expertly shift responsibility to whomever he may seem fit. The war is merely a distraction from the real issue: Henry V’s claim to the English throne is doubtful and there is nothing akin to a war to unite a people and veer attention away from domestic issues. In order to quell the memory of usurpation, Henry is simply following the advice of his bedridden father. Unfortunately not all giddy minds can be suppressed through the frenzied excitement of foreign quarrels, as some have long memories and remarkable persistence for minds supposedly so giddy. It becomes apparent in act two that Lord Scroope, Thomas Gray and Richard, Earl of Cambridge have accepted French gold to conspire against the King. Regrettably for the conspirators, Henry has already foreknown the existence of the plot and subsequently exposes and denounces their treachery, leading to the inevitable conclusion of their execution. The conspiracy has brought forth centre stage the wide disparity of responses the play has elicited regarding Shakespeare’s concept of his protagonist. Partisans of Henry typically view this incident as further illustration of the King’s righteousness. Henry is merely safeguarding justice in his kingdom when he ‘denounces the evils of treachery’, and administrates the traditional capital punishment, ‘not so much because his own life has been threatened as because the conspiracy has jeopardised the welfare of the whole country’. (Wentersdorf, 1976, pg. 268). However, a closer inspection of this episode seems to suggest that the allure of gold may not have been the sole motivation for the ‘traitorous’ conspirators, and Henry may not have been acting out purely in a princely manner. The English chronicler Raphael Holinshed records that the Earl of Cambridge conspired against the King, ‘onlie to the intent to exalt to the crowne his brother in law Edmund earle of March’, and because the imprisoned Edmund Mortimer was without children, ‘the earle of Cambridge was sure that the crowne should come to him by his wife, and to his children, of hir begotten’ (Holinshed, pg. 71). It seems as though the true motivation behind the plotting and scheming against Henry was not for greed of gold, but to reinstate the true inheritor of the coveted English crown; a crown that had been acquired illegally by Henry’s father. Interestingly, Shakespeare’s text doesn’t seem to allude to the issue of rightful succession, as ‘the long shadow that the incarcerated Mortimer casts across this play is not visible from a seat in the theatre.’ (Goddard, 1951, pg. 229). Dover Wilson echoes the dynastic nature of the conspirators’ plot arguing that ‘it seems odd that Shakespeare did not make it more explicit, until we remember that he must avoid anything that casts doubts on the legitimacy of Henry V’. (Wilson, 1947, pg. 140.). Hence, Henry cannot possibly address the true motives of the conspirators; to do so would draw negative attention to the validity of his claim to the English crown. Because Henry is already reaping the rewards of his father’s usurpation, his having the supporters of the legitimate heir executed only accentuates the troubling question of legitimacy. (Smith, 1976, pg.14). The conspiracy could have been repealed altogether if Shakespeare had been trying to portray Henry as a virtuous hero; a mirror of all Christian Kings. From this critical standpoint, Henry is hardly displaying the ‘virtues’ that have earnt him the choric description of ‘the mirror of all Christian Kings’, an appellation that has been the source of haughty derision amongst critics who suppose Henry as a cold-blooded war monger. Perhaps Henry would have been better advised to follow the council of the Christian theologian Erasmus, who declared ‘that an unjust peace was better than the most just war’. (Ibid, 1976, pg. 17). It is to of no surprise that the Salic law speech was often cut out of performances of the play during the eighteenth century; John Altman offers an explanation of this exclusion arguing that the speech ‘comes across as fashioned, bowed, and its subtext of successive usurpations casts indirect shadows on the legitimacy of Henry’s crown even as its main argument supports his claim to the French one.’ (Altman, 1991, pg. 21). Henry’s involvement with the Archbishop of Canterbury and his subsequent execution of the partisans of the true heir of England collectively seem to undermine the legitimacy of Henry, thus undermining his heroic and virtuous depiction. For if the premise of war is illegitimate, then its consequences, whether they be commendable or reprehensible are, as a result, unjust. The scene brings to the fore a reoccurring problem in Henry V criticism, chiefly, the discrepancy of the Chorus in relation to the action it is describing. Of all Shakespeare’s plays, Henry V is the only one to employ and sustain a choric figure, interrupting the action by marking the genesis of each act. The role of the Chorus in Henry V is an important topic of discussion in most critical readings of the play; historically, the Chorus has come to signify and affirm the irresistible patriotic fever directed towards the King. A.P. 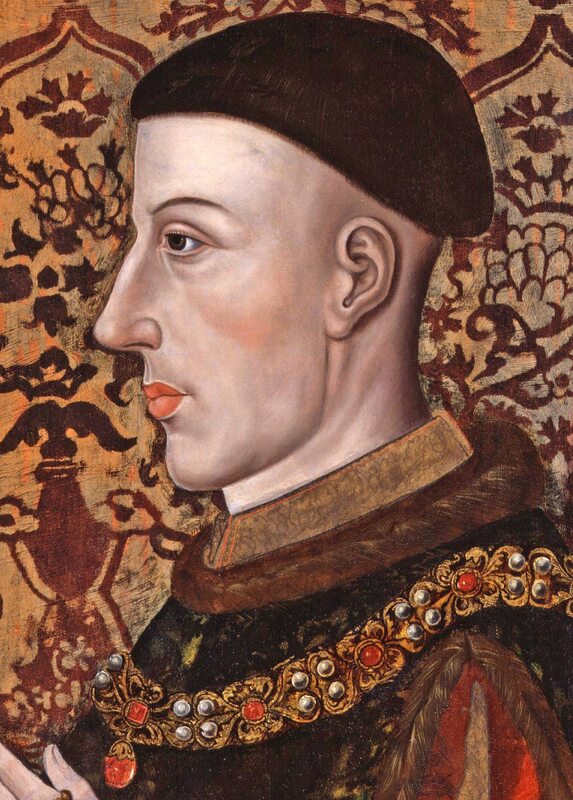 Rossiter, for example, considers Henry V as ‘a propaganda-play on National Unity: heavily orchestrated for the brass’ – the brass being provided by the voice of the Chorus. (Rossiter, 1961, pg. 57 – Jones, 1978, pg. 93). On a similar trajectory, M. M. Reese considers the role of the Chorus as an advocate for a celebratory reading of the play. “The verse of the choruses, corresponding to the passages of the heightened description which a narrative poet habitually employs, has the further function of establishing the epic stature of the hero. (Reese, 1961, pg. 320). Dutton, R. “Methinks the truth should live from age to age”: The Dating and Contexts of Henry V, Huntington Library Quarterly, Vol 6, No.1-2, University of California Press, 2005. Leer, N. Stavrogin and Prince Hal: The Hero in Two Worlds, The Slavic and East Europe Journal. Vol. 6, No.2, 1962. Loehlin, J.N. Henry V, Shakespeare in Performance, Manchester University Press, 1996. Meron, T. Bloody Constraint: War and Chivalry in Shakespeare, Oxford: Oxford University Press, 1998. Rabkin, N. “Either/Or: Responding to Henry V,” in Shakespeare and the Problem of Meaning, University of Chicago Press, 1981. Smith, G. R. Shakespeare's Henry V: Another Part of the Critical Forest, Journal of the History of Ideas, Vol. 37, No.1, University of Pennsylvania Press, 1976. Spiekerman, T. Shakespeare's Political Realism: The English History Plays, New York, University of New York Press, 2001. Muhammad Suffian graduated in 2015 with a Bachelors degree in Arabic and Islamic Studies from University of Leeds in Nelson, United Kingdom.